A quick lay over We only stayed one night to attend a show in the city. Booking was easy, check in was easy and check out was.. Well.. Easy.. 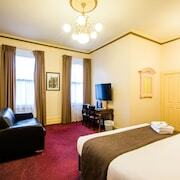 The room was very clean, warm and the staff were brilliant and helpful. What do you get the traveller who has seen it all (or just wants to)? 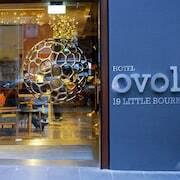 If you’re looking for an escape that’s distinct, quirky or downright stylish, boutique hotels have you covered. These digs can be as fun, funky or fairy-tale romantic as you desire, combining traditional services with modernised options as seamlessly as you combine the latest novel and guilty-pleasure TV. 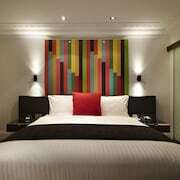 Let your fantasies become a reality (well, to a point) on your next holiday with Melbourne boutique hotels. Boutique accommodation typically provides an upscale atmosphere, personalised service and detailed touches, like luxury amenities or turndown service…sometimes with chocolates. 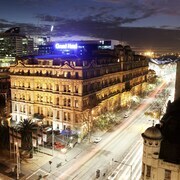 At many of our boutique hotels in Melbourne, singles will have plenty of chances to mingle over live music or at cocktail events. 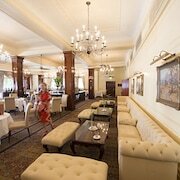 Couples can enter a world of romance with customised packages at many hotels. They’re a great choice for your next stay-cation too; you’ll feel like you’re a world away from home even if you haven’t travelled far. 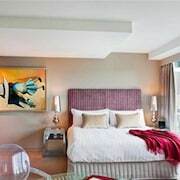 Cool art, architecture and design make boutique accommodation options unique—and make your Instagram interesting! Ready for a holiday that feels like it was made just for you? 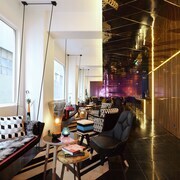 Get up close and personal with the best selection of one-of-a-kind accommodation on lastminute.com.au, where you’ll find everything from exclusive retreats to cheap boutique hotels in Melbourne. Our last minute deals and discounts turn your short attention span into an asset. Set it and forget it—until it’s time to check out of the office and check in to your boutique pad.